Because of the personal aspect of this card, it felt right that it should also be the ‘signature card’. 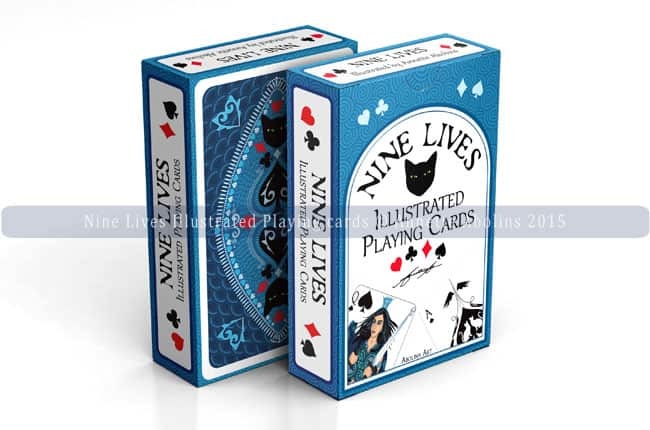 Most playing card decks have one card (often the Ace of Spades), which bears a logo, stamp, or signature of the maker (or publisher)… and so, the signature logo for Nine Lives illustrated playing cards, resides on the 2 Joker cards in each deck. Once again, a lovely post. 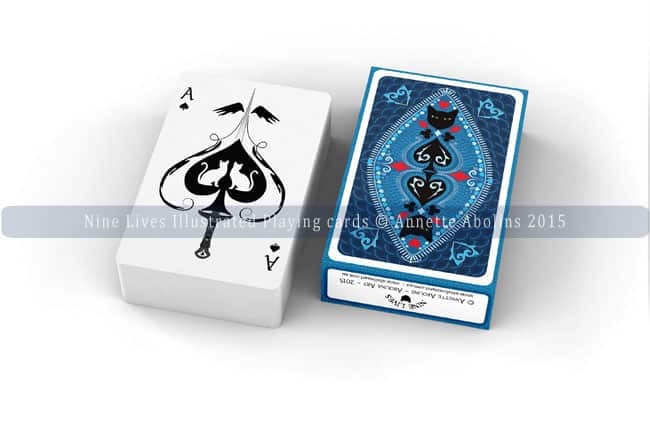 I really like the artwork, both on the box and on the signature card (the Joker). 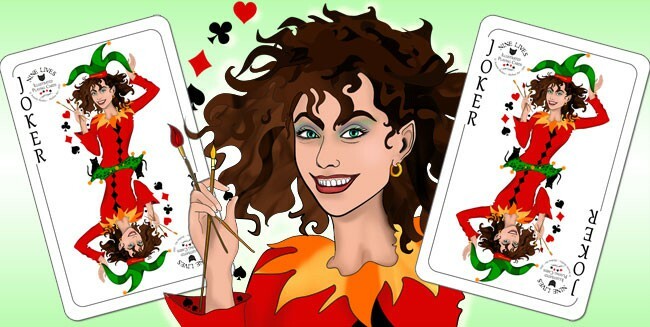 I can imagine that you are feeling very excited now that the cards are, literally, almost in your hands. 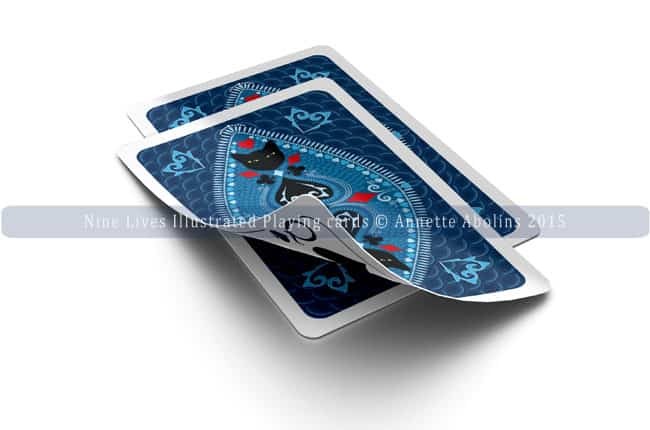 From what I have seen of the cards, they are a beautiful complement to your tarot deck. Congratulations.